If you really want to know how quantum physics has changed humanity, read this book. Elegantly jumping between the fields of transpersonal psychology, mind-body medicine, energy healing and comparative spirituality, Cynthia Sue Larson is thoroughly grounded in her extraordinary quantum skills. Passionately penned, clearly organized and intellectually sound, Larson’s purpose is to prepare us for the reverberations of a world in quantum transition. 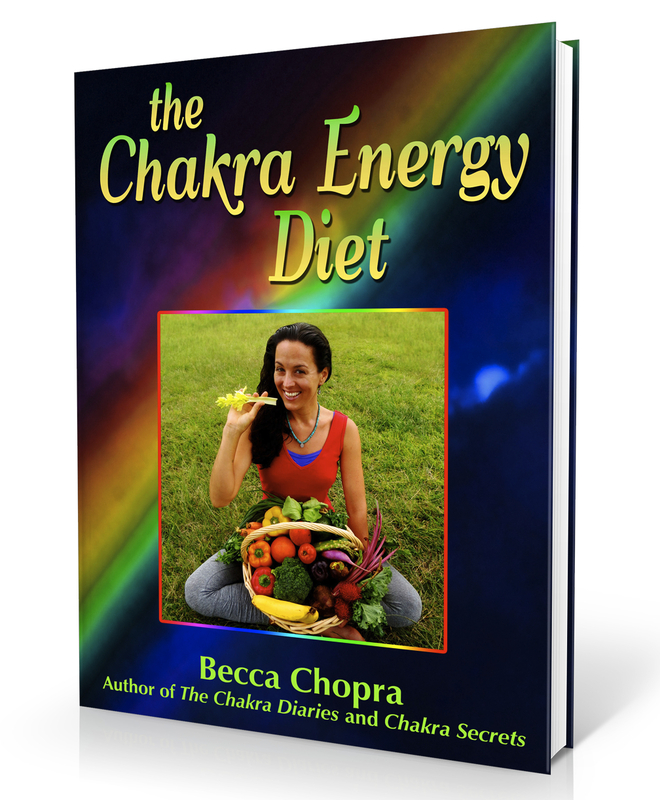 She has written three other books on related subjects, including Reality Shifts: When Consciousness Changes the Physical World, but this book holds the doors of the new sciences, philosophy and self-realization wide open for all. The culmination of decades of research, study and practice, this manual for the journey can lead you to a higher order of quantum experience and a happier, more fulfilling life. Quantum Jumps – sub-atomic transitions or abrupt changes of an electron from one quantum state to another – are happening all the time. They affect our personal lives, religion, psychology, medicine, technology, government and business. Our awareness of them and mindful invocation of the quantum state gives us access to more adaptable, resilient and useful aspects ourselves. Thought patterns are significant in Larson’s quantum world because what happens in the quantum realm does not stay in the quantum realm. Those of us who have experienced precognition, premonitions, intuitive hunches, synchronicity and déjà vu already know this. Few of us, however, have had a handbook like Quantum Jumps. Larson offers here the foundations of more than 100 years of quantum research, clearly establishing the scientific underpinnings of what we used to think of as new age and woo-woo. Articulating the mysteries of the quantum world with a scientist’s irrefutable logic, she offers frameworks and data from prestigious universities and labs that explain how quanta behave. Interspersed throughout are short, lively exercises for trying out your quantum wings, while an extensive Q & A section at the end of the book supports the reader in the effective use of Quantum Jumps right away. The book’s main theme – that the way our universe really works is more fascinating, fertile and interconnected than humanity has believed – colors every one of its 289 pages. It’s not only the microscopic building blocks of matter in the laboratory that exhibit such quantum phenomena as superimposed states, multiple existences, or entangled, non-local states enjoying instantaneous communication with one another across vast distances. People, animals and plants do too. Two-thirds of physicists surveyed now believe that everything in material form — including us — exists in a superimposed state of many possible realities. “The mind-boggling implication of this simple statement is that there are many possible you’s… and many possible me’s,” Larson declares. In her third chapter, “Why Do We Quantum Jump?” Larson presents a range of motivations for the typical person to actively make a Quantum Jump: to survive a crisis, to find their calling, lose weight or find a mate. While there is clear evidence that people do often feel better, find their vocation, trim down and find a partner, the explanations for how Quantum Jumps work are less obvious. David Bohm’s Holographic Interpretation, Leonard Susskind and Raphael Bousso’s Holographic Multiverse Interpretation, and Niels Bohr’s Copenhagen Interpretation, among others, are explored; Larson then gives us meaningful real-world anecdotes to match their predictions. Most intriguing is Hugh Everett III’s Many Worlds Interpretation (MWI) of quantum physics, which postulates a multiverse where a person may be living the life he only dreams about in this universe. He can travel to alternate realities and bring back experience and data across the multiverse into this timespace reality from his future or parallel self. Traits one has developed in a parallel universe can seed those same qualities and behaviors in this reality. The holographic multiverse offers us mind-blowing freeways into the majesty of the heavens and is limited only by our imaginations. We can, not figuratively, but literally jump from one parallel universe to another. The multiverse explanation for quantum mechanics got a big boost back in 1987 when Nobel Prize-winning physicist Steven Weinberg calculated that the cosmological constant of our universe — the energy density in otherwise empty space — is so statistically unlikely that it must be something of an aberration. “The fact that we appear to live in such an improbable universe is leading ever-increasing numbers of physicists to embrace the multiverse. Growing evidence, such as a dearth of other new particles found in addition to the newly found Higgs boson, suggests that our universe is measured to be just as we would expect it according to the multiverse Many Worlds Interpretation,” confirms Larson. Her enthusiasm and story-telling skill breathe life into sometimes dry history and theory, as when she wonders what happens to the missing socks from your washer? We may joke that the socks have entered a parallel universe, she says, but actually, your socks may really have disappeared into a parallel universe! For example, in 2012, theoretical physicists from the University of l’Aquila, Italy, found a mysterious anomaly; the loss rate of neutrons appeared to depend on the strength and direction of a magnetic field. Physicist Zurab Berezhiani proposed that perhaps the missing neutrons were visiting parallel universes! Leading us through the new frontier filled with entangled diamonds, teleporting rubidium atoms and quantum biology, Larson points to ever-increasing evidence of quantum behavior on the macroscopic (larger-than-quantum-particle) scale. In “Changing Past, Present & Future,” Larson reveals how vast the universe really is – and how expansive our concepts about it will have to be in order to keep up. In astonishing sections on the universe according to the Transactional Interpretation, Larson presents studies that have consistently shown a seeming reversal between cause and effect. Bicausality – more than one possible beginning of events – and retrocausality, in which the direction of cause is reversed from past-to-present to present-to-past, are some of the principles that explain such phenomena as alternate histories, alternate recollections or “false memories,” and parallel worlds. State-of-the-art laboratories now have computers that operate on qubits rather than bits and have millions of times the analytical power of conventional processors. Quantum Jumps affect our society at every level; it is happening very fast, in every field and having massive consequences. Woven with powerful personal stories and dozens of resonant laboratory and case studies, Quantum Jumps, Larson’s “great work,” serves us well as source material for answering those essential quantum questions. 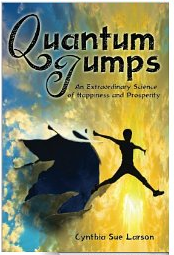 Quantum Jumps is available on Amazon.com. For more information on the author, visit realityshifters.com. Contact today’s reviewer at marya@loomoflove.com or visit maryamann.com. Marya Mann and Cindy Longhofer sending energy. 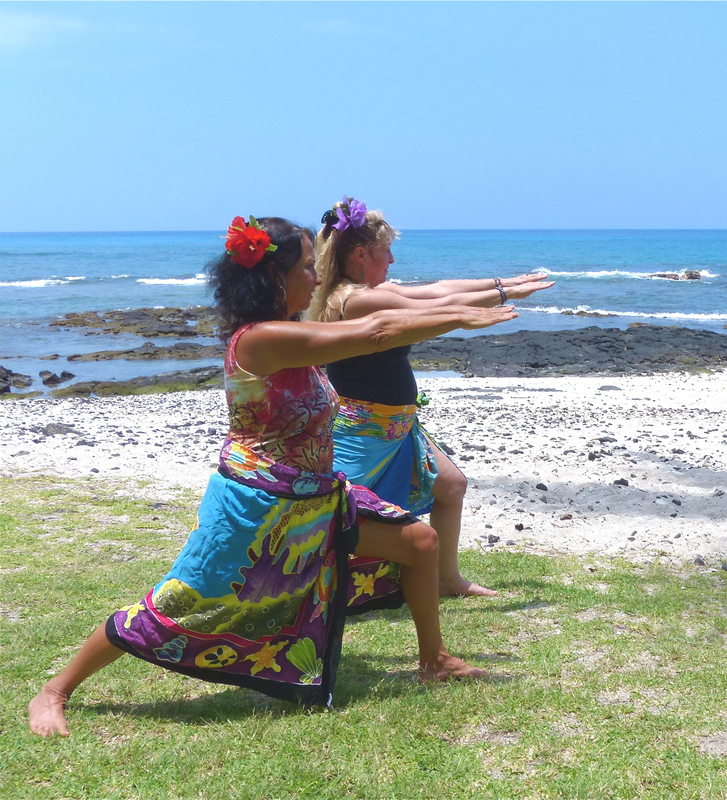 There was a frog in my throat the night we practiced the Forgiveness Dance as part of our Yoga Dance Training last month in Kona. We practiced progressive forgiveness as a way to help heal the heart’s wounds and induce radiant health and joy around the places in our hearts where we’ve felt victimized. In a guided meditation, we invoked three separate kinds of people with whom we wanted to experience forgiveness. As a Wellness Consultant and Writer, I have heard enough horror stories from quite ordinary people to convince me that there is not a human being on the planet who has not been seri­ously victimized at least once, and in minor ways more times than they could count. Who among us can say they have never blamed someone else for their lack of happiness? For many, blame is simply a way of life. For eons we have played out victimhood in many aspects of our lives, convincing ourselves that victim consciousness gives us the right to dominate others. The victim-dominator two-step seems fundamental to the human condition. One dominates, another is the victim, and usually a rescuer comes in the middle to mediate and often becomes the dominator in a never-ending cycle of the classic crazy-making family triad of relational abuse. To transform an energy pattern so fundamental as the victim archetype, and thus the dominator archetype, many, many people—souls who possess the wisdom and love necessary to accomplish this immense task—must awaken and accept their spiritual mission.. Perhaps you are one of the souls who volunteered for this mission. Everywhere we look—in the newspapers, on TV, and even in our own personal lives—we see exam­ples of people who have been victimized by crazy people. There’s a lot to forgive in the world. If we’re lucky, it’s a full-time passion and we move from compassionate action to forgiveness as quickly as A to B.. But for some people, victim consciousness seems to hold their history together so they weave from old hurt and wound to another arrow and dart, their preferred method of feeling affection, even if it’s negative-love affection. The skill of the new human is to learn from mistakes and move on. Thus, we see incredible acts of heroism and goodness. Goodness will win when the dominator trait, the one that begins with arrogance and ends with torture, repression, genocide and open warfare on a vast scale, runs itself out. Goodness is what will go on as long as we are free to forgive. When we stop forgiving, we stop living.